It may be said that the drawing of partition line between India and Pakistan, though it was dominated by political considerations based on long-standing communal tensions, resulted almost instantaneously in hundreds of thousands of persons finding themselves forced-off their land and seeking new abode. Great many of them suffered a lot and were killed or lost in the bitterness of the hostility, which followed this forced exodus. This march of “teeming millions” will always constitute the saddest chapter in the history of the Country. Many Rehabilitation Projects were established during these days in the country to accommodate the families flew from Pakistan. Government of India provided the accommodation to 1000 such families at Sindhanur Rehabilitation Project of Raichur District in Karnataka. Government has provided 4-5 acres of land to each family at the tail end of the Tungabhadra Irrigation Project (TBP). They were happy adopting agriculture as their livelihood option, inspite of many constraints like road, postal & telecom facilities, hospital, and other basic minimum facilities. A Primary School in their Mother Tongue was started in each Colony where the children could complete their Primary Education. Hardly any student could continue their education after primary level due to language constraints. During 1983, when this Project was handed over to State Government, all the local Schools were transformed to State Language. Children started leaving schools as they felt it extremely difficult to continue their education in a language other than their mother tongue. Illiteracy increased. 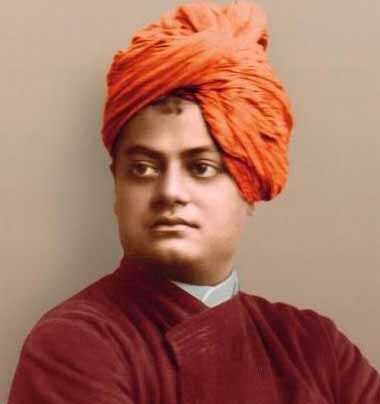 The Vivekanada Education Society evolved, as a result, to start school in Hindi (similar to Bengali) Medium by the effort of Sri Shanti Ranjan Das and colleagues during 1986. Their belief was that “Education is the Backbone of the Society and base for people’s empowerment” and thus the education society came into existence to provide education to the community, which was then registered in 1989. It created a wave in the mind of parents and started sending their children to this school. It could see the increase in education level of the colonies. As mentioned in earlier paragraph, Agriculture is the only occupation of the people residing in this Island surrounded by the infertile-cultivable land at the tail end of the TBP. The yield of cotton, which was the major & cash crop of the region, started declining year after year 1989 onward. Farmers become the victims of debt. It was found extremely difficult to continue their children’s education in a fee-based school like this. Managing group found it difficult to run the school. They tried to find the reasons for such difficulties and finally evolved with a new belief. Education with economic stability can make a community healthier and happier. How the financial status can be improved was the question before this group. Improvement over Agriculture System may improve the economic conditions. What other options can be adopted to achieve the goal of economic security? Janakalyan was the answer and thus it took the formal identity in 1997. The sole objective of the Organization is to serve for 4 holy mothers- Manavi Mata, Bhoo Mata, Go Mata & Ganga Mata, which have inter-relationship with each other. These 4 mothers have a unique dependency relationship among them. It believes in empowerment strategies and the programs are designed keeping the Sustainability concept in mind. Janakalyan never considers itself an alternative to Government but a watchdog for the community. It does believe itself as an assisting agency for the Government in developing the nation and its citizens.